In 1699, John Woodward, an English naturalist, showed that spearmint, grown in water of various states of purity, thrived best in park wastewater containing garden mold. Woodward concluded that plants were not formed from water (as Aristotle believed) but of “particles” contained in the soil. In 1804, the Swiss chemist and plant physiologist Nicolas-Théodore de Saussure, seeking to determine the nature of Woodward’s “particles,” observed that the increase in plant mass could not solely be attributed to its uptake of water, but also to the absorption of carbon dioxide. This discovery was one of the fundamental pieces leading to an understanding of photosynthesis several decades later. The German chemist Justus von Liebig compared plant growth after the addition of various minerals to the soil. In 1840, he formulated the Law of the Minimum (often simply called “Liebig’s Law”), which states that plant growth is not determined by increasing the total amount of plentiful nutrients, but rather is dependent upon the presence of the scarcest resource, which is the limiting factor to its growth. He found that plants required carbon, hydrogen, and oxygen to grow—these supplied by the air and water—as well as phosphorus, potassium, and nitrogen, which are obtained from soil minerals. Arguably, the most important plant physiologist of the second half of the nineteenth century was the German botanist Julius von Sachs who, in about 1860, determined that six mineral elements—nitrogen, phosphorus, potassium, calcium, magnesium, and sulfur—are macronutrients needed by the plant in relatively large amounts and are used as building blocks in the plant’s structure. In 1923, an additional eight essential elements were identified as micronutrients that are only required in trace quantities. It is now known that plants use inorganic elements as nutrients, which are formed from the weathering of rock minerals and the decaying of organic matter, animals, and microbes. Some of these mineral elements are essential; that is, the plant cannot complete its life cycle in their absence and other elements cannot substitute for them when they are not present. Still other mineral elements are considered beneficial, playing a role in nonessential plant functions. SEE ALSO: Phosphorus Cycle (1669), Nitrogen Cycle and Plant Chemistry (1837), Photosynthesis (1845), Phototropism (1880). 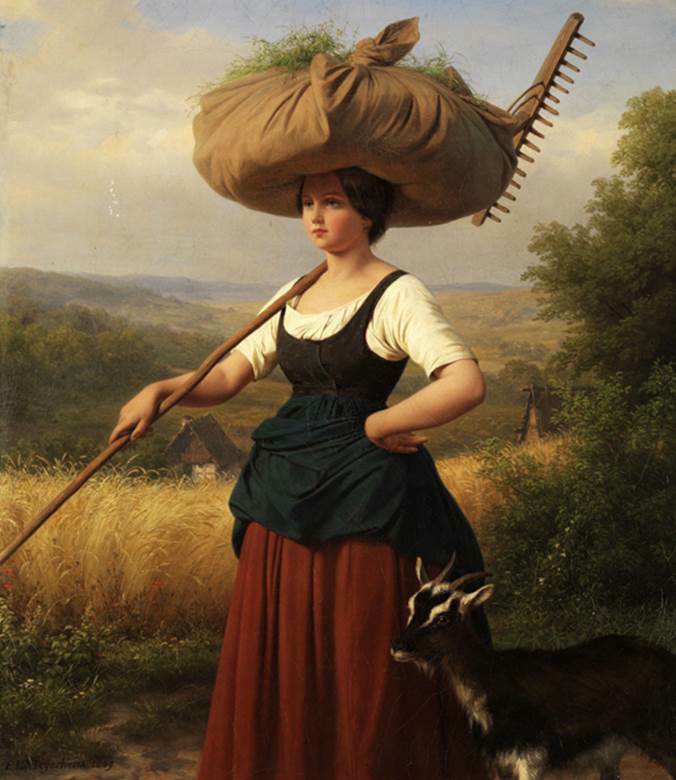 This 1849 painting Heinkehr vom Feld (Return from the Field) was the work of German artist Friedrich Eduard Meyerheim (1808–1879).